The Poconos in Northeastern Pennsylvania are a vacation and getaway destination for all of the Mid-Atlantic States and for New York City, Philadelphia, Baltimore and Maryland. 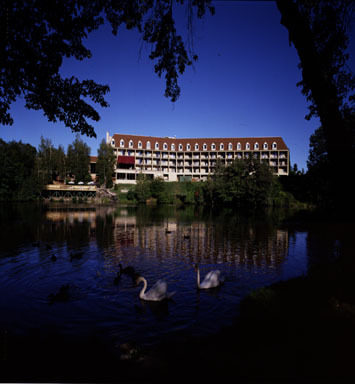 On this page are the Best Hotels in the Poconos. 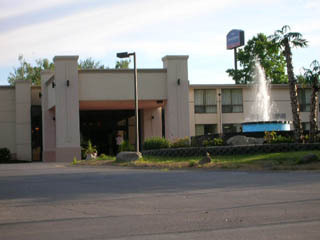 Each hotel is vetted for its comfort, cleanliness and service by our local Poconos staff. While there are other hotels in the Poconos, these are the ones we recommend to our friends. Prices are guaranteed to be the Best Prices you can get for the room. Our Local Poconos hotels Partners Guarantee this. Fernwood Resort Bushkill, PA is on 175 picturesque acres. Voted by the "Best of the Poconos" as a top family resort and "Best Value for the Money" Rooms continually renovated. Hotel rooms, jacuzzi suites, one or two bedroom villa (Sleep 6). Lots to do for kids AND grown ups. 90 minutes - New York. 2 hours - Philly. 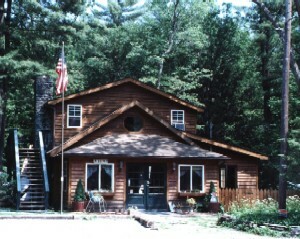 Golf, horseback riding, Winter Fun Center with snowtubing and ice skating, live entertainment, festivals, special events, massage therapy, indoor/outdoor pools, fitness facility, summer mountain slide, horse riding, Game Zone play center, summer bumper boats, Poconos TreeVentures adventure park with rapes course is at Fernwood and daily activities abound onsite. You should stay here if you are looking for a villa or townhouse type stay at a family style resort with activities for kids and adults alike that is conveniently located close to almost all Poconos Activities. Less than 2 hours from New York City or Philadelphia. Mount Airy Casino and Resort is a 4 Star property that has 5 restaurants, bar/lounge, full service spa and salon, golf course, casino, nightclub, fitness facility, parking is complimentary. Indoor /outdoor pool, 24-hour front desk, coffee shop, 24-hour security, bell staff/porter, catering, elevators, housekeeping daily, gift/news stand, hairdresser / barber, late check-out available, laundry / valet service, safe deposit box, convenience store, wake up service. You should stay here if you are looking for a four star, resort style stay at a casino with spa, slots, poker, blackjack and other table games and onsite entertainment and 4 star restaurants. Children may not be in the casino. Poconos Palace Resort Bushkill, PA - A couples only "All Inclusive" Resort, Varied accommodations at a sporty, sensuous resort. Golf, tennis, mountain lake, skiing, horseback riding, bicycling and sandy beach are part of the summer fun. State-of-the-art exercise equipment, whirlpool baths, heated indoor/out pools and fun nightly entertainment. With full gourmet all you can eat breakfast and dinner. The Champagne Glass Whirlpool Honeymoon Experience. You should stay here if you are looking for a fun Couples Only resort style getaway or vacation with food, activities and entertainment included. 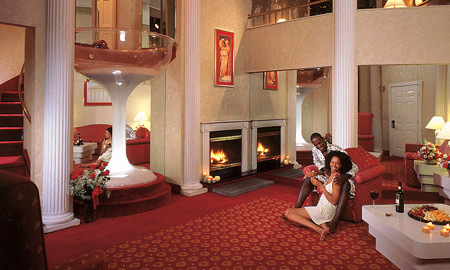 Jacuzzi rooms and the Champagne Tower suites. Families and Couples Private lake, 2 hr. NYC & Philly. 5,500-acre resort with a host of seasonal activities. Civilized hospitality indulges quiet couples & energetic families. Country weekends with nature programs by a naturalist, indoor swimming, hay rides, relaxing picnics, evening socials, golf, trout fishing, tennis, or lounging. Include three meals daily. Standard rooms, mini-suites, & cottages. Meals are gourmet and traditional cuisine. A beautifully kept 185 room historic Stone Mountain Lodge and the ideal place for a couples or family vacation. 5500 acres of secluded woodlands, lakes waterfalls and mountain vistas away from the hustle and bustle of everyday life. Lake with rowboating and sailing, golf course, tennis, skiing (on site) with lessons and lifts, swimming in indoor and outdoor pools, complete Spa with personal services, walking trails (You'll probably find the walking sticks in the closet in your room), waterfalls, an Orvis endorsed fishing and shooting center, views, and more for family fun. A casual yet elegant experience with attentive service. Included are 3 meals per night's stay to be taken in either of two wonderful dining areas ( One formal - requiring jackets for dinner and one more casual at the "Inn at Skytop") . Travel+Leisure named Skytop one of the Top Resorts for Family Reunions! Our families have been enjoying special gatherings at Skytop for generations. Skytop's Family Gathering Package provides the perfect opportunity for you and your family to gather for the time of your lives! The Adventure Center at Skytop Lodge has been a popular addition to our long list of exciting activities. Children and adults can spend exciting hours outdoors climbing our 30 foot rock wall, playing paintball, laser tag, taking on our mountain bike challenge course, geo-caching, kayaking or learning how to survive in the wilderness! Be sure to stop by the Adventure Center during your next visit to Skytop! Dog sledding in the summer??? That's right our popular winter sport is now available during the summer. It's dog sledding with a twist. 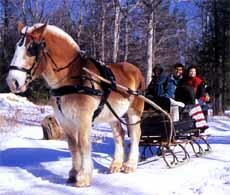 Actually, replacing the sled is a scooter pulled by sled dogs through the beautiful wilderness of the Skytop estate! Be sure to contact Jared while you are here for more information on this increasingly popular activity. You should stay here if you are looking for a four star resort style getaway with 3 meals and lots of activities included. This is truly one of America's GRAND Castle style resorts. A Couples Only " All Inclusive " Resort with a variety of distinctively seductive and intimate suites for sensuous pleasures, excitement and luxury from intimate rooms to world-class service and entertainment, including headliner dancers, singers, dance bands and comedians in the nightclub on premises. Candlelight dinners and cozy breakfasts in bed and private champagne glass whirlpool bath for two in Caesar's most intimate resort. Outdoor fun all summer and winter long. 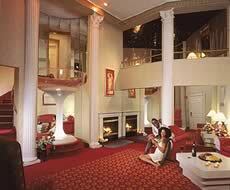 The Champagne Honeymoon Experience, luxury accommodations, entertainment, activities, and dining. Activities are weather permitting. General Resort Information: 164-room couples only resort . Centrally Located in the Pocono Mountains 1 mile from The All New Mount Airy Casino, 15 minutes from skiing or whitewater rafting and canoeing and adjacent to horseback riding. The resort is 95 minutes from New York City or Philadelphia and is appropriate for romantic Couples or Honeymooners of all ages. Rates are per couple & include all-you-can-eat breakfast - dinner daily, live nightly entertainment and free use of the facilities and activities. Inclusive means all this is included: All-you-can-eat breakfast and dinner daily, Live entertainment nightly, Social Director, Theme nights, Hors d'oeuvres & late night snacks, Tanning Beds, Paddle Boats, Tennis, Indoor pool healthclub & spa, Miniature golf, Swimming pools, Bicycling and nature trail, Archery, Billiards. You should stay here if you are looking for a fun Couples Only resort style getaway or vacation with food, activities and entertainment included. This one has jacuzzi rooms and the Champagne Tower suites. The adventure at Great Wolf Lodge in the Poconos begins with a large 84-degree enclosed against the weather indoor water park. Splash in over 79,000 square feet of water-packed indoor and outdoor pool excitement, including slides for thrill seekers or a beach like zero-depth entry areas for all. Outside the water park, the fun continues with a large outdoor pool and water play area. Grab a wand and battle a dragon in MagiQuest or get an ice cream-themed manicure in Scooops Kid Spa before gathering your family in our Grand Lobby for nightly fireside Story Time. For Adults there is a full spa with massage, and most spa services available. There are indoor miniature glow golf course, and game quests like: a hi-tech compass leads players on an interactive way finding journey, activities and crafts, a sprawling, family-friendly arcade, a family bowling alley, an XD Theater and much more. All inclusive hotel and resort For Couples, on Pennsylvania's second largest Lake with Lake activities, Whirlpools, Nightclub with live entertainment, Sports Activities, Champagne Towers, Breakfast In Bed A Couples Only All Inclusive resort. Cove Haven is a ravishingly elegant, sensuous couples only resort with world-class entertainment, exquisite dining, and state-of-the-art facilities. 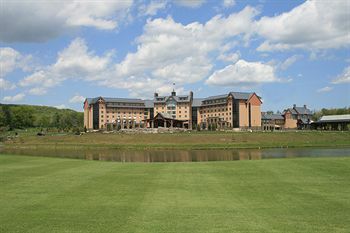 It is the largest and most secluded of the Pocono Resorts, the world's most famous honeymoon resort. Rates include delectable all-you-can-eat breakfasts-dinners, & endless indoor and outdoor activities from water skiing/boating in summer to snowmobiling/tubing in winter. Among the largest variety of romantic accommodations anywhere are Cove Haven's sensuous suites. Featuring the Champagne Honeymoon Experience, with luxurious accommodations, entertainment, activities, dining, and inclusive rates . Activities are weather permitting. Resort Information - 282-room, couples only resort . Room rates are per couple and include all-you-can-eat breakfast and dinner daily, live nightly entertainment and free use of the facilities and activities. Rates vary depending upon dates call for best prices for your vacation. Looking for a lovers' paradise for your honeymoon or romantic getaway? Look no further than our Cove Haven Resort. Whether you are enjoying a romantic dinner in the Coliseum Restaurant or sipping cocktails in the Parrot Lookout Lounge overlooking a secluded mountain lake, it won't be long before you fall in love with Cove Haven. Check out the Sports Palace for indoor tennis, racquetball courts, miniature golf and ice-skating. Visit the Harbourside Health Club and Spa for workout equipment, an indoor swimming pool, and two free-form whirlpools. Or, shoot some pool at Hustler's Billiards Parlor. Our marina offers speedboats, paddleboats and water-skiing. Morris and Obie's Café is a great place to grab lunch or a midday snack. At night, heat things up with hot hors d'oeuvres and cocktails in Cupid's Corner before enjoying a five-course dinner from our executive chef. After dinner, the Champagne Palace million-dollar nightclub features live, nightly entertainment as well as some of the country's hottest performers. Midweek guests enjoy Cove Haven's Theme Nights , including Romance Night, Mardi Gras and Tropical Beach Night. Cove Haven is nestled on a cove of beautiful Lake Wallenpaupack (Pennsylvania's largest man-made lake) near Lakeville, PA. Like all our resorts, Cove Haven is all-inclusive , so the only thing you need to bring is each other. Days Inn - Rt. 715 Tannersville, PA 18372 - Tannersville is the location of Camelback skiing, Camelbeach Water park, the Crossing Outlets, The American Candle, and so much more. This motel is well kept, has views, a restaurant onsite, a continental breakfast and is easy to get to from Rt. I-80. 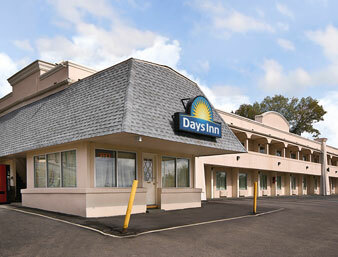 The Days Inn Tannersville is conveniently located right off Interstate 80 at Exit 299. They are less than one-half mile from the Crossings Premium Outlets, just 2 miles from Camelback/ Camelbeach, Great Wolf Lodge, 3 miles from Sanofi Pasteur, 7 miles from Mt Airy Casino and a short drive to many Pocono Mountains points of interest. Whether your trip will be for business or pleasure, Skiing, Golfing, Horseback Riding, Rafting, along with many shopping and dining venues, are all within an easy drive of our Heart-of-the-Poconos location. The Days inn Tannersville is a AAA approved, 5 Sunburst Rated and The Days Inn Chairman's Award winning property. Free "Daybreak" Continental Breakfast and Free High Speed Internet Access (WI-FI) in all rooms. A Poconos Hotel Just off Rt. I-80 and close to Camelback Skiing and Camelbeach Water park. Indoor pool with lots of glass and tropical plants, picnic area, game room and small exercise facility. Safari theme restaurant on site and pub nearby. Close to horseback riding, amusements, the Crossings Outlets, and Pocono Fun. 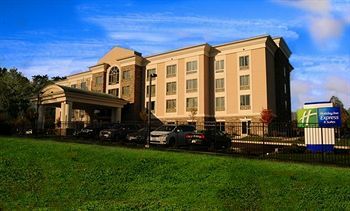 This 148 room, two-story, interior hotel is located in heart of POCONOS on Interstate 80 at exit 302. Rt. 940 off Rt. 380. 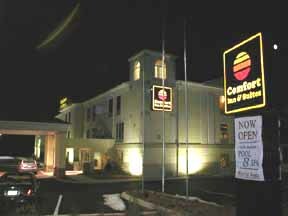 Welcome to the Comfort Inn & Suites, a Mount Pocono hotel near Mount Airy Casino. Located in the heart of the Pocono Mountains, the 100 percent nonsmoking Comfort Inn & Suites ® hotel is convenient to popular area attractions. Nearby, visitors will find the Pocono Raceway , Camelbeach Waterpark and Peddler's Village, a premier shopping, dining and entertainment destination. For outdoor enthusiasts, Bushkill Falls and Delaware Water Gap National Recreation Area , offering whitewater rafting, canoeing, kayaking, fishing and swimming, are only minutes away. Mount Airy Casino is four miles from the hotel. Skiers and snowboarders will appreciate the five major ski areas just minutes from this Mount Pocono, PA hotel. Additional points of interest include the Crossings Premium Outlets shopping center, American Candle Company and the Pocono Indian Museum. Several restaurants and cocktail lounges are located in the surrounding area. Guests will wake up every morning to a free continental breakfast and free weekday newspaper. The hotel also features an indoor heated pool , hot tub , fitness room and game room. The closest hotel to skiing at Camelback Mountain Resort and Camelbeach summer water park with over 30 Water Slides and attractions. Great shopping values less than 3 miles at The Crossing Factory outlets or take-in any of the 30 area attractions. Indoor / outdoor pool complex, large game room and onsite restaurant. Now a 3.5 star rated hotel/resort. Suites with lofts for Poconos Family Vacations. You should stay here if you are looking for a hotel with activities close to Camelback Winter Resort, Camelbeach Summer Waterpark or Camelback Adventure Park. This hotel has some activities onsite like a restaurant, indoor and outdoor pool, tennis, game room and fitness center. Located in East Stroudsburg, Just off Rt. I-80 Near the Delaware Water Gap. Stay here to ski at Shawnee (4 miles) Camelback (18 Minutes), visit East Stroudsburg University (1 Mile) or Bushkill Falls (15 minutes). Also close to Pocono Medical Center and Water Gap Trolley. 79 air-conditioned rooms with microwaves and DVD players. Comp Internet access and cable programming for your entertainment. Conveniences include desks and coffee/tea makers. Indoor pool, fitness center and barbecue grills. A complimentary buffet breakfast is included. Business center and dry cleaning/laundry services. Free self parking is available onsite. In Stroudsburg, PA and near Stroud Mall (1 Mile) Camelback (14 Minutes) Shawnee Ski area (12 Minutes) and the Sherman Theater downtown. 75 rooms with refrigerators and microwaves. Comp wired and wireless Internet. Baths with bathtubs. Phones with free local calls and cribs/infant beds (complimentary by request). Indoor pool, fitness center, and complimentary buffet breakfast daily. 24-hour business center and express check-out. Free self parking is available onsite. Hotel is recently built and well run. 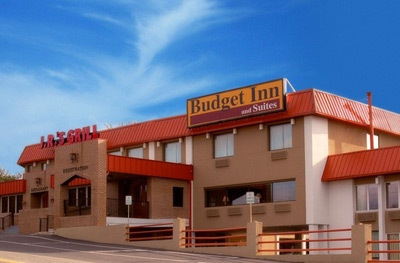 Budget Inn and Suites - Exit 308 - East Stroudsburg, PA 18301 -"There's Nothing Budget About the Budget Except the Price." Is what you will say after a stay at one of the "Best Hotels in the Poconos". Clean, spacious rooms and suites, a highly rated (for value) restaurant, easy access to Poconos activities, the hospital, the University, and downtown nightlife. The Budget Inn and Suites is very involved in preserving our natural resources. Their ongoing and expanding recycling efforts include waste recycling of all paper, cardboard and glass generated in the conduct of business. As they continue, they will be making recycling available for all guests as well. The new Linen & Towel Program allows guests to participate in conserving water and reducing the amount of chemicals being used by allowing each individual to make informed decisions about their own linen during their stay. Tropical indoor courtyard with pool, balconies and sitting area. Continental Breakfast Monday - Friday mornings. Off I-80 & near most Pocono attractions and downtown Stroudsburg nightclubs, art galleries, day spas & historic sites. 10 min to The Crossings, Camelbeach, Shawnee, Canoeing, Hiking or Biking. 20 min to Bushkill Falls, Jack Frost or Big Boulder skiing. The Quality Inn ® hotel is ideally located off Interstate 80 in the heart of the scenic Pocono Mountains , just three miles from East Stroudsburg University. 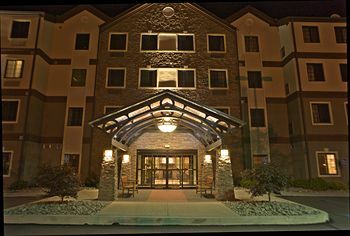 This Stroudsburg, PA hotel is minutes from the Camelback Ski Area , the Camelbeach Waterpark and the Shawnee Mountain Ski Area. The hotel is within walking distance from the downtown area, featuring an array of boutiques, restaurants, nightclubs and historic sites. Many Pocono attractions are just minutes away. Visitors will enjoy nearby activities like horseback riding, golfing, canoeing, rafting, hiking and shopping at the Crossings Premium Outlets. Rt. 940 South of Blakeslee PA Traditional well kept motel with Outdoor Pool close to Jack Frost, Big Boulder and the Pocono Raceway. Rejuvenate your senses in the serene Mount Pocono where we have the rooms, efficiencies and cottages to meet all of your expectations. At the Sullivan Trail Motel, our guests are delighted by a choice of clean and well-maintained rooms, efficiencies and cottages with a friendly staff available to serve you 24/7. Convenience of a hotel is offered at a motel price range. All rooms have refrigerators, microwaves, color TV and coffee makers. We have the most affordable hotel and motel prices in the Mount Pocono region. Sullivan Trail Motel is located within a very easy driving distance of all the great attractions the Mount Pocono area is famous for, including Jack Frost Mountain and Big Boulder Ski Area. You are invited to stay on the grounds and enjoy pool (pool is open in summer) and other lawn games. It's right on the MT Pocono mountaintop, where living, breathing, and enjoying are all so easy! By Calling 800-805-3559 you can speak to a Poconos Reservation Specialist located right here in the Poconos Mountains. We are here to help you have the best experience you can have while visiting our vacation destination. Call Edyta, Gail, Rick or anyone of our Poconos Hotels Specialists for advice on where to stay and how to get the best price. Have a Great Vacation or Getaway. With its charming décor and comfortable amenities, the Lehighton Country inn an Suites Hotel, conveniently located close to great Lehighton shopping and recreation, provides a warm and welcoming atmosphere sure to please business and leisure travelers alike. Conveniently located to the historic Jim Thorpe area. Indoor pool, whirlpool and fitness center. Suites, close to restaurants, art galleries, state parks, shopping areas, whitewater rafting, canoeing, & kayaking. Also near largest paintball center in area. 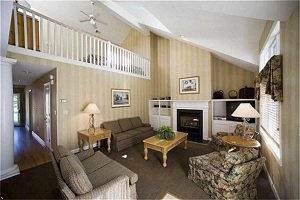 Closest hotel to Blue Mountain Skiing and Snowtubing. Each of the spacious guest rooms and suites at the Lehighton Hotel features a cozy country-style décor that makes guests feel right at home. Guest rooms at the Lehighton Hotel offer free high-speed Internet access, data ports, cable TV, coffeemakers, hairdryers and irons/ironing boards. Accommodations at the Lehighton Hotel also feature large work desks with ergonomic chairs. Martinville Streamside Cottages has rustic cottages and suites with private wrap around decks and barbecues over the brook, living rooms with fireplaces and color cable TV. All units included fully equipped kitchens that include utensils, microwaves and coffee makers. Linens and towels are included. Each cottage or suite has it's own charm, romance and appeal, and no two are exactly alike. Martinville has attractive, the clean and comfortable cottages for rustic mountain getaways. There is a gathering room with large stone fireplace, a fishing and paddle boating pond along with a picnic area. 3076 Valhalla View - East Stroudsburg PA 18301.